Only 2 prints left in stock! 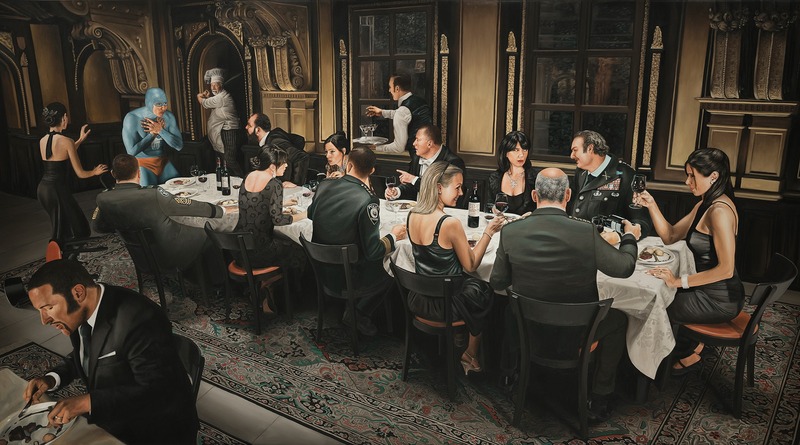 Based in Falun, he is mostly recognised for the photo realistic and humoristic oil paintings depicting the everyday life of an anonymous superhero. The series ranges from the superhero’s first mission as a toddler to being an old man, still struggling with everyday trivialities. Other themes include horses and muscle cars. The horses are painted as dalecarlia horses, a famous symbol from the Swedish region of Dalecarlia, where Andreas was born. “Working with communication became a natural choice for me since . Either through conversation or visual media I want to share My foundation is based on storytelling and communicating and I’ve always wanted to share my thoughts with others – insights and thoughts, experience and humor.